Finishing your training runs could be the difference between a good race and a bad race! I love to train for races, but there are days when I lace up, head out the door, and just don’t “feel it.” Those workouts are always tough, and require a lot of strategic mental coaxing. The internal dialogue that goes on inside my head typically involves back-and-forth bantering with one side strongly suggesting that I forego the last couple of miles, or do one less speed interval, or stop and take walk breaks. As much as I feel like short-cutting my training on days like that, I hardly ever do and that, I believe, is how I’ve managed to perform well in some of my past races. 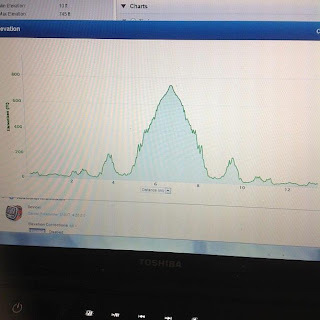 A few years ago, I ran a series of consecutive races, from 13k distance to half marathon, all within a three month period. 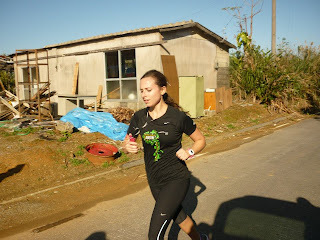 All four races were difficult for different reasons (and if you’ve ever raced in Okinawa in September/October, you’ll know that the heat and humidity would have been one of them), however like every other race I have ever run, the real challenge didn’t begin until near the end. Likewise, my training runs often feel the same; the challenge often lies towards the end of the run where finishing becomes more of a mental battle. Keep in mind that I’m referring specifically to the harder speed workouts and longer long runs; the easy recovery runs are, well, easy. Getting back to racing, I clearly remember the challenge of having to overcome muscle fatigue and glycogen depletion during the final leg of each race; in that state the body wants to quit, along with the mind. Finishing is possible, but finishing strong becomes a battle of the mind versus the body, and if the mind hasn’t been trained to ignore physical cues to slow down, or to walk, or to simply quit, you won’t have the mental fortitude to override those cues. The long story short, don’t skimp on your training runs. Unless you are legitimately overtrained and in need of rest, finish those miles, those speed intervals, those hill repeats! Training For A Race – But No Motivation? 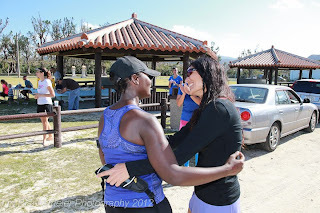 Run with a friend, or group of friends – a) they hold you accountable because you don’t want to be the one who doesn’t show up, and b) the time passes by much more quickly when you run with friends. Sometimes it pays to take a little time off – instead of running, do something different; go to a spin class, for example, or try a yoga class. Or zone out to some good music while exercising on an elliptical trainer or stationary bike. But don’t stay away from your runs too long, just long enough to break the monotony. This is a great idea that came from Anna – for those long and lonely runs on your own. Is there a book you’ve been wanting to read but haven’t had time to do so? See if it’s available as an audio book and listen to it while running. And if it isn’t available, browse the selection of audio books that are available and find one you might enjoy (or a good podcast). Give yourself incentives – reward yourself with little indulgences, such as a girls’ night out, a trip to the spa for a pedicure or massage, a soak in the bathtub with some soothing bath salts and a good book, or some good old shopping therapy. But, make yourself earn the rewards. Mark them on your calendar (on the 1st and 15th for example), and only redeem them if you have completed all your workouts. 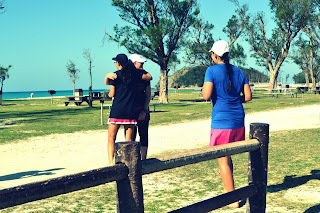 Surround yourself with friends who love to run, and who share similar goals. Have you ever heard of American Entrepreneur and motivational speaker, Jim Rohn? He died in 2009, but he left behind some great quotes, one of which is the following: “Tell me who your friends are, and I’ll tell you who you are.” He believed that our values, behaviors, passions, knowledge, skills, and habits, are directly influenced by those who are closest to us. Are your goals realistic? Are you training for a marathon, but don’t really have the time (you’re a single mom right now because your husband is deployed, or you work full-time and have family obligations when you’re not working). 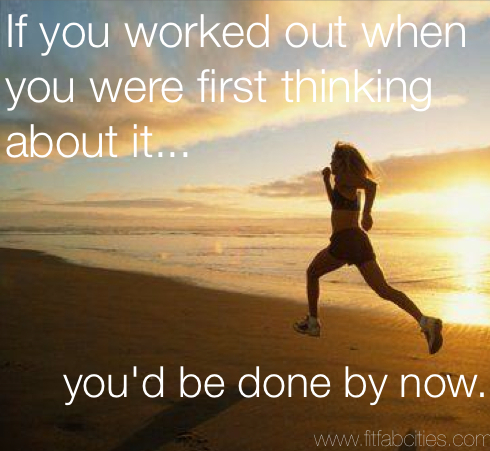 Or are you training for a half or full marathon, when a more realistic goal would be to train first for a 5 or 10k? If your goals are unrealistic, and causing you much frustration, don’t be afraid to re-evaluate and set new goals; it’s much more likely that you’ll stay motivated when you see some measurable progress being made. Finally, change up your running routine and route – seems fairly obvious but some runners actually run at the same time, on the same days, along the same routes, at the same pace – every single week! 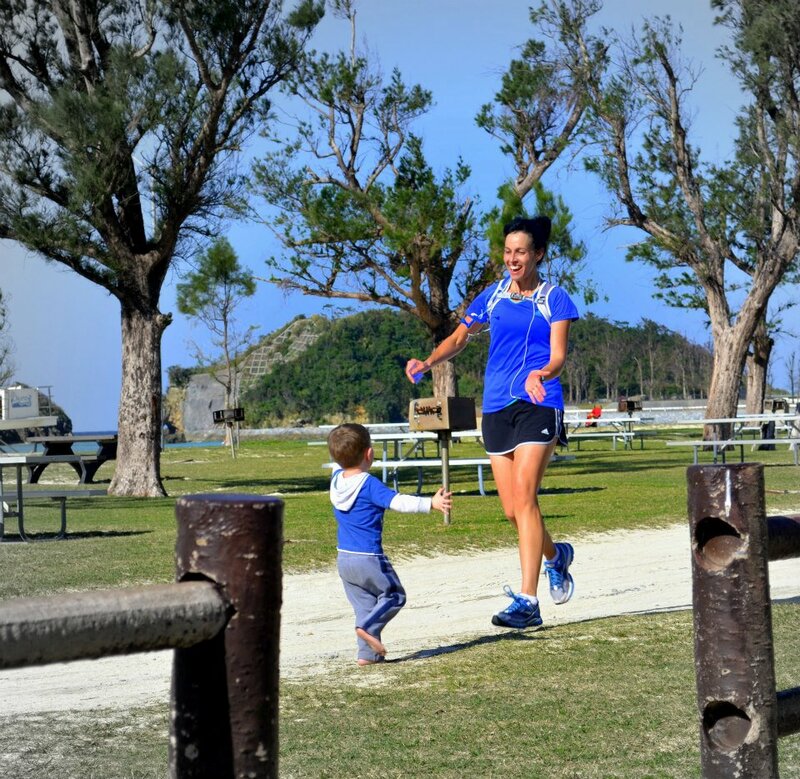 No more excuses – just get out there and run! We’ve entered the winter season, where runners have to combat not just the cold weather elements, but also increased odds of falling ill with the flu, or flu-like symptoms. Falling ill in the middle of a training cycle is a major source of frustration, but for many runners, not reason enough to stop training! The following article, published on Runnersworld.com, provides great information and advice on when it’s probably okay to run during illness, and when it really isn’t such a great idea. Runners don’t like to skip workouts–even when they’re ill. Here’s how to decide when you should take a sick day from training. Runners seem to live by a creed that’s stricter than the postman’s: “Neither rain, nor snow, nor sniffle, nor fever shall keep me from my training schedule.” Indeed, the coming of winter presents many issues for runners who’d prefer to keep at it even when sick. Oftentimes, symptoms aren’t severe enough to make you stay in bed, home from work, or off the roads. And while exercise can give you a mental and physical boost when you’re feeling run-down, there are other occasions when going for a run may do more harm than good. David Nieman, Ph.D., who heads the Human Performance Laboratory at Appalachian State University, and has run 58 marathons and ultras, uses the “neck rule.” Symptoms below the neck (chest cold, bronchial infection, body ache) require time off, while symptoms above the neck (runny nose, stuffiness, sneezing) don’t pose a risk to runners continuing workouts. This view is supported by research done at Ball State University by Tom Weidner, Ph.D., director of athletic training research. 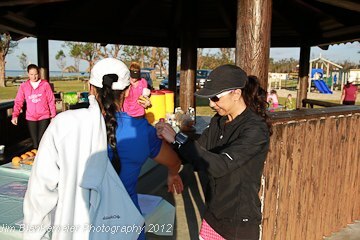 In one study, Weidner took two groups of 30 runners each and inoculated them with the common cold. One group ran 30 to 40 minutes every day for a week. The other group was sedentary. According to Weidner, “the two groups didn’t differ in the length or severity of their colds.” In another study, he found that running with a cold didn’t compromise performance. He concluded that running with a head cold–as long as you don’t push beyond accustomed workouts–is beneficial in maintaining fitness and psychological well-being. But, doctors say, you still walk, or run, a fine line. Take extra caution when training with anything worse than a minor cold because it can escalate into more serious conditions affecting the lower respiratory tract and lungs. Sinus infection, or sinusitis, is an inflammation of the sinus cavity that affects 37 million Americans each year. Symptoms include runny nose, cough, headache, and facial pressure. With a full-blown sinus infection, you rarely feel like running. But if you do, consider the 72-hour rule of Jeffrey Hall Dobken, M.D. : “No running for three days,” advises the allergist/immunologist and ultramarathoner in Little Silver, New Jersey. Even without the presence of a fever, says Dr. Dobken, some sinus infections, when stressed by exercise, can lead to pneumonia or, in extreme cases, respiratory failure. Not surprisingly, winter weather increases risk of sinusitis. In dry air, the nasal passages and mouth lose moisture, causing irritation. “The sinuses need time to recover,” says Dr. Dobken, “just like a knee or foot.” So Dr. Dobken recommends including treadmill running in your winter training regimen. Another option for sinusitis sufferers is pool running. “The water adds moisture to nasal passages,” says John J. Jacobsen, M.D., an allergist in Mankato, Minnesota. Pool running is preferable to swimming, says Dr. Jacobsen, because chlorine can be irritating to the nose. Nieman saw this firsthand when his running partner once ran a marathon with a 101-degree fever. Soon after, the runner developed severe and persistent symptoms similar to those of chronic fatigue syndrome. “Every day he’d wake up feeling creaky and arthritic,” says Nieman. “When he tried to run, he’d stumble and fall.” Eventually doctors concluded he had a “postviral syndrome,” a latent condition that was exacerbated by the race. During exercise, your heart pumps a large amount of blood from your muscles to your skin, dissipating the heat your body generates. If you have a fever, your temperature will rise even higher, and your heart will be put under greater strain to keep your temperature from soaring. In some cases, this can produce an irregular heartbeat. Also, a virus can cause your muscles to feel sore and achy; exercising when your muscles are already compromised could lead to injury. Nieman recommends that runners with a fever or the flu hold off until the day after the symptoms disappear–and then go for a short, easy run. Runners should wait one to two weeks before resuming their pre-illness intensity and mileage. Otherwise, you risk a relapse, he says. Above all, obey your body and the thermometer–not your training program. How much running can compromise your immune system to the point of making you sick? For average runners, the dividing line seems to be 60 miles a week, according to David Nieman, Ph.D., of the Human Performance Laboratory at Appalachian State University. Nieman conducted the largest study ever done on this question by examining 2,300 runners who competed in the 1987 Los Angeles Marathon. “The odds of getting sick were six times higher than normal after the marathon,” says Nieman, “and those who ran 60 miles a week or more doubled their chance of getting sick.” The illnesses were of the upper respiratory tract, including sinus infections. Nieman says there’s no doubt these findings are still applicable to runners today. He’s also used himself as a test case: When Nieman trained up to 90 miles a week, he constantly battled sore throats. When he dropped his weekly mileage below 60, the symptoms stopped. 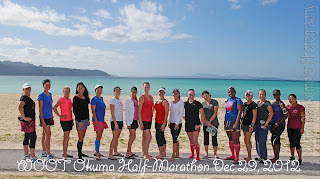 Last weekend, to mark the end of another great year of WOOT bonding and running, we headed north to Okuma to run our very own self-organized half marathon. 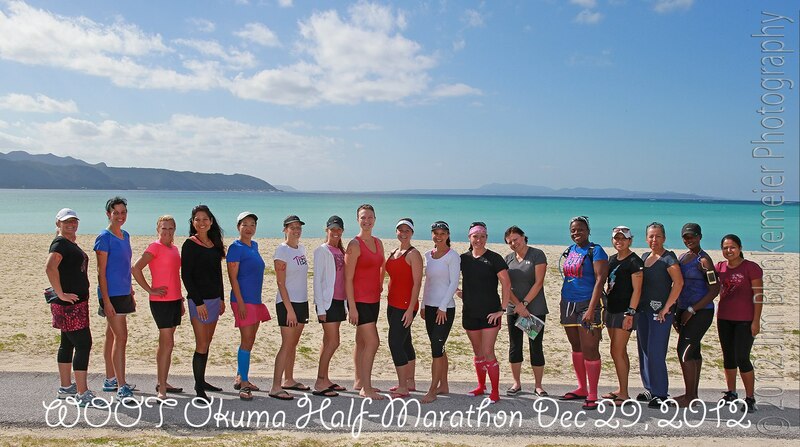 On Saturday 29th December, we gathered near the Okuma playground for a short pre-race brief. 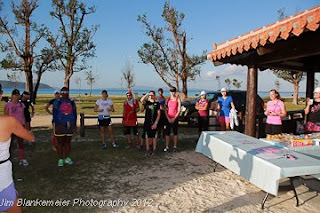 The weather was amazing, and everyone was in great spirits, all ready and eager to run what we were hoping would turn out to be a beautiful course. Anna gave us a description of the route, and mile markers to look out for, and at approximately 8:30am we started running. The first three miles were nice and flat, and we reached the first aid station at our first turn, off route 58. 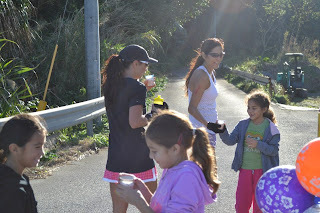 The Morales family were enthusiastically waiting with refreshments – I wasn’t thirsty at all but it was too difficult to say no to our sweet little helpers. After a quick drink and high fives, it was time to face the first incline. We headed upwards for a half mile or so, but then it was downhill again and a right turn onto flat roads once more. Now we were running in a small rural neighborhood, with just a few homes around and a pleasant quietness. About another mile or so down the road I reached the second aid station. 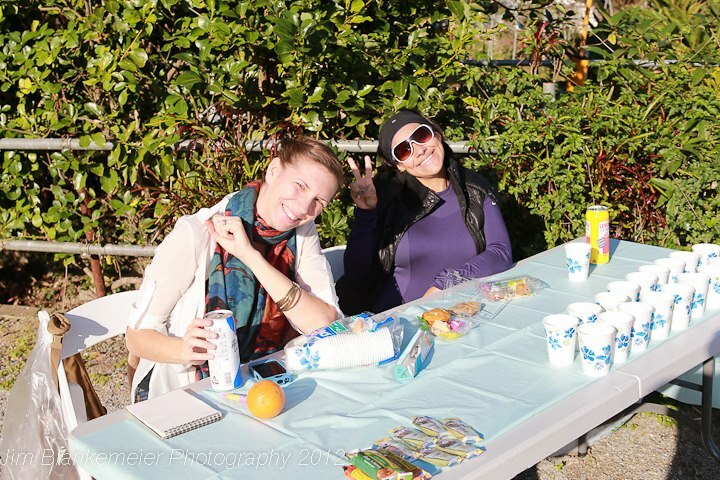 Antonia and Ivette – the best volunteers ever! So supportive – and, entertaining! Thank goodness for positive and encouraging words from Ivette and Antonia – their aid station marked the beginning of a long and challenging hill climb and motivation was much needed. 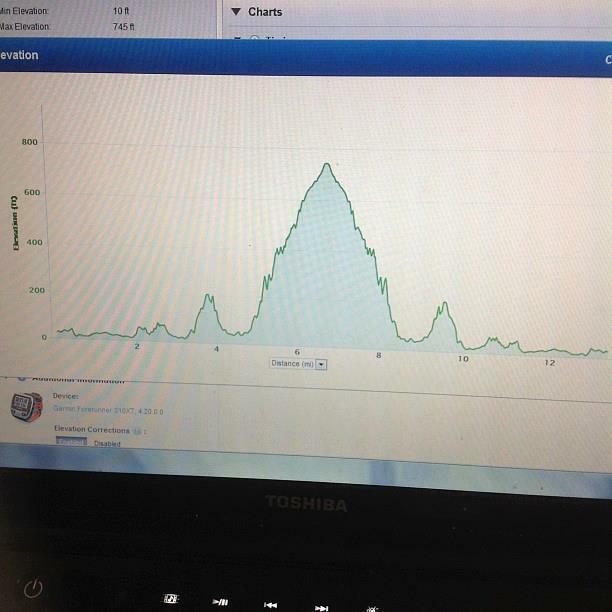 I thought the hill I had climbed in the Shouhashi half marathon a couple of months ago was a killer hill, but that was nothing compared to the monster that stood facing me. Upwards and onwards, and a winding road that was so steep at times that I’m sure my run could easily have been mistaken for a walk by anyone who might have been watching. I must have looked at my garmin at least a half dozen times, only to be disappointed as I realized with each glance that I had moved forward by maybe only a tenth of a mile. Seeing mine and Ivette’s husbands at the top of the hill was a welcome sight, not just because I was glad to see them, but because their aid station was located at the halfway point and that meant I could turn around and start heading back downhill. The last three miles, although flat, were by no means easy. This part of the course was back on the 58 headed north towards Okuma, and there was no longer any shade covering from the trees. 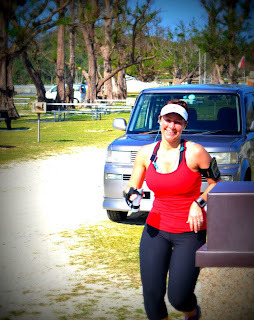 Going through the gate at Okuma was a bitter-sweet moment; it felt great to almost be done, but painful to have to run one more mile around the resort before reaching the start/finish line. Once I did cross the finish line however, I relished the feeling of having successfully completed one of the most difficult half marathons I’ve ever done. As all the ladies, one by one, crossed the finished line, it was clear from the looks on their faces that they also were proud of what they had just done. Beyond the feeling of pride however, I suspect that the joy we all felt was mostly due to the camaraderie that was experienced. As difficult as it was to run such a challenging course, the support we all gave each other and the encouraging reassurance provided by our team of volunteers made all the difference. Not a single runner failed to finish the course, and not a single runner left before the last runner finished. We did it! Congratulations ladies! This was our first, and hopefully not last, WOOT half marathon!